Congratulations to the Saudi Arabia Chapter Governor-Elect, Waqar H. Ahmed, MD, FACP. Our new Governor-elect Designee (GE) will do a year of training as a Governor-elect and then will start his four-year term as Governor in the Spring of 2019. As Governor, Dr. Ahmed will serve as the official representative of the College for the Saudi Arabia Chapter, providing a link between members at the local level and ACP leadership. In the meantime, Dr. Ahmed will be working closely with Dr. Al Saud (the current Governor) and College staff to learn about the College and his duties as Governor. To learn more about the new GE, read his bio below. 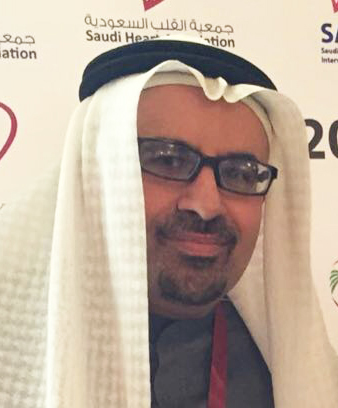 Other Appointments/Activities: Founding member, Saudi Arabian Cardiovascular Intervention Society (SACIS); Chairman, Scientific Committee of Saudi Heart Association annual meeting 2014; Chairman, Scientific Committee of the Saudi Arabian Cardiovascular Intervention Society (SACIS) 2015; Member, Board for the Gulf Intervention Society.